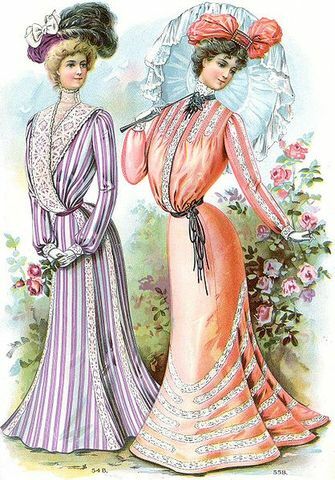 Tall, stiff collars characterize the period, as do women's broad hats and full "Gibson Girl" hairstyles. 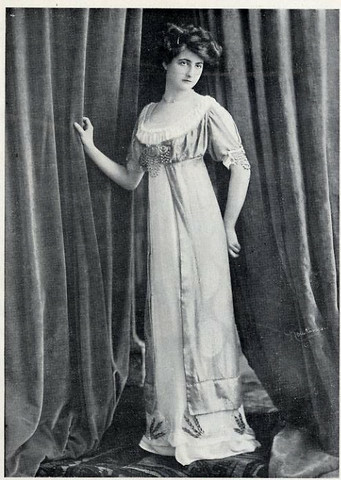 A new, columnar silhouette introduced by the couturiers of Paris late in the decade signaled the approaching abandonment of the corset as an indispensable garment of fashionable women. 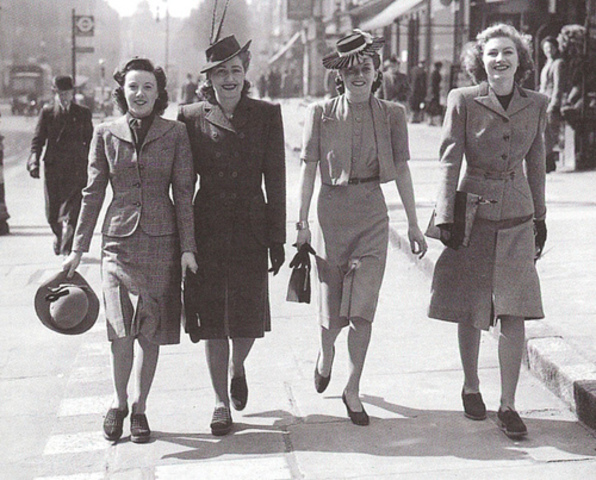 1950 fashion was very diffrent from the fashion in 1940 as the style was full skirt, sorft shoulders and a tight waist. 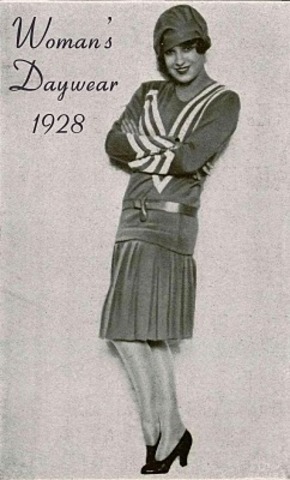 this was to show of the bust and hourglass figure. 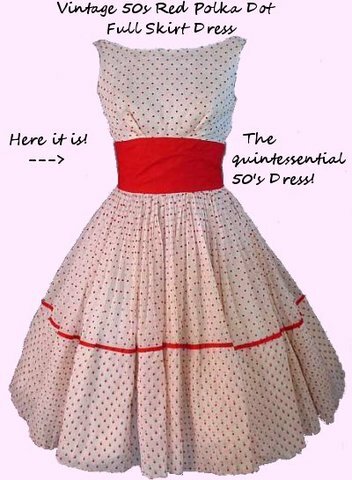 This fashion trend had a phrase ''make do and mend". 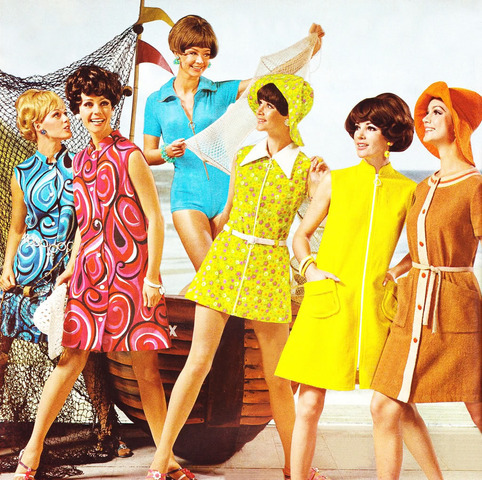 In 1960 London the bright, bold and fun inspire Mod fashion came around. The pastel colours of the 50's were gone and incame the bright colours, bold geometric shapes, boxy jackets and patent shoes with monhair suits for the boys. The popular modle twiggy became popular for her pixie crop and cartoonish eye makeup. 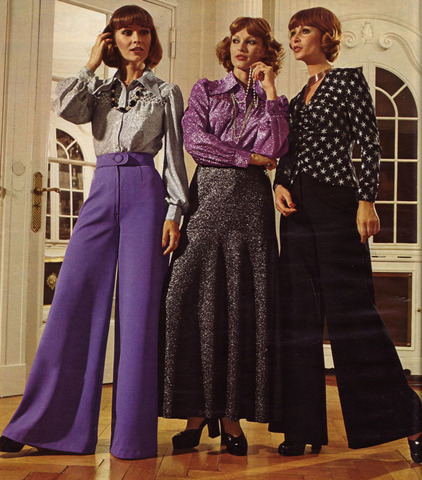 One of the major fashion trends in the 70's was trousars. Staring of flared and the bottem which was like bell bottom trousers. By the end of this period they began to narrow and become straight. The most used fabric's were Heavy Crepes, Wool Jersey Knits, Courtelle Jersey Jersey and Woven Polyester suiting like Trevira. 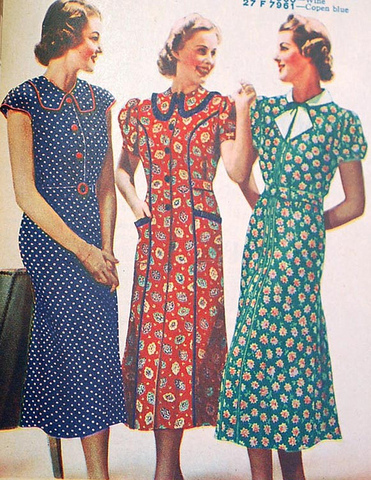 The top colours for 70's were Emerald green, Apple green and bottle green.